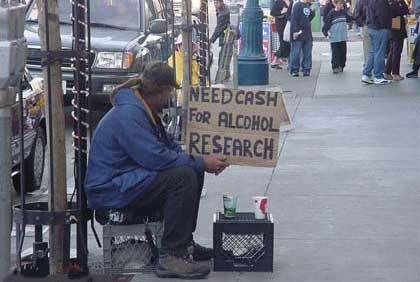 Bum holding sign “Need Cash for Alcohol Research”. Created about 14 yrs, 9 mths ago (July 6, 2004). Updated about 8 yrs, 3 mths ago (January 10, 2011).